Do you have a goal for 2015 to simplify areas of your life? Maybe you opened your medicine cabinet or looked under the bathroom sink and wondered where in the world all those skincare products came from?! I’m going to focus on the three – yes, just three! – DIY skincare ingredients you really need to keep your skin and hair healthy and beautiful. Here’s to clearing out those cabinets and getting rid of clutter! 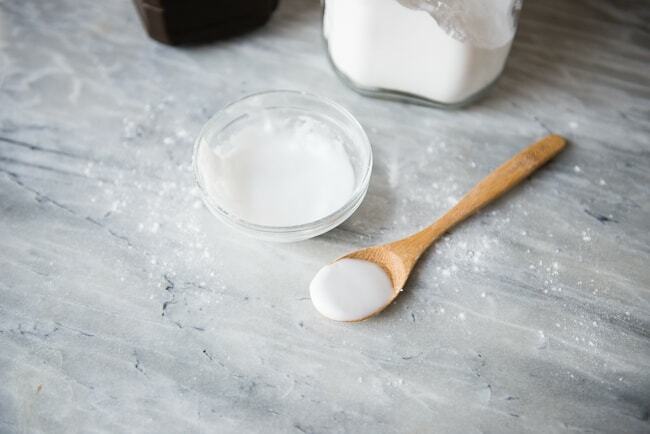 One of the most versatile items you probably already have in your home is baking soda. It can be used as a body scrub, in deodorant, in a bath soak, or to whiten your teeth. This easy cleanser recipe is great for all skin types. Combine the honey, baking soda and a few drops of water for a great cleansing facial scrub. Gently move your fingers in circular motions, avoiding the delicate eye area. Rinse with warm water. Another essential ingredient in your beauty arsenal is apple cider vinegar. ACV can balance the pH of your scalp, smooth hair and contribute to extra shine. This hair rinse is wonderful for all types of hair. For extra exfoliation on the face, you can try this apple cider vinegar peel. Apple cider vinegar can also be used as a toner following your cleanser. 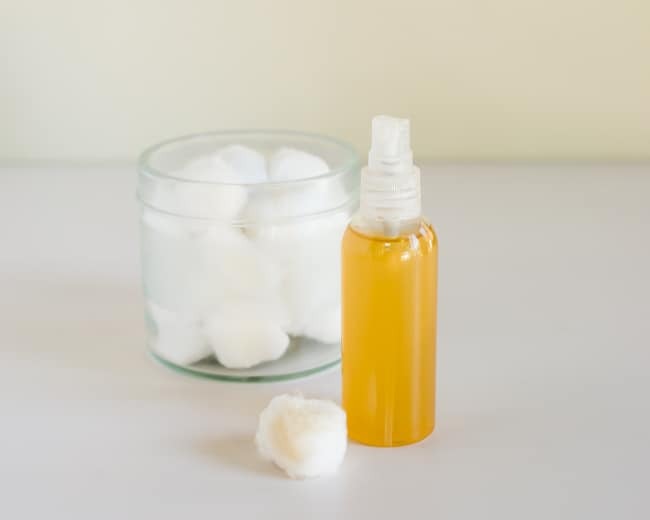 Take a cotton ball or swab and soak it with water, squeeze out the excess water, and then add a few drops of apple cider vinegar. Wipe the cotton all over your face and neck, and then follow with moisturizer. I am not sure how I could live without coconut oil, the versatility of this ingredient is immense! From body wash to moisturizing body oil to a hair mask for dry strands, coconut oil is the ingredient you will use time and time again. To make this simple face and body moisturizer you only need one ingredient, you guessed it, coconut oil. 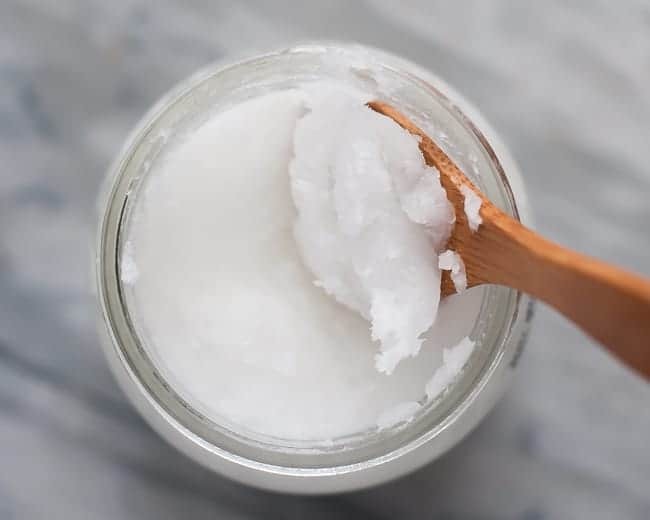 Using an electric hand mixer or a Kitchen Aid stand mixer, whisk a jar of coconut oil (the solid kind that usually takes heat to melt) for 6-7 minutes. It’ll end up a fluffy, whipped consistency. Transfer to a sealed container and be sure to store it at room temperature, or in the refrigerator, not in the bathroom, as the heat will melt the oil and change the consistency. If you’d like to add a few drops of essential oil, just mix it in when you spoon the solid coconut oil into the mixing bowl, before whisking. Apply to face and body as needed. Is there a must have ingredient that you use in several different skincare recipes? Deborah is the esthetician and blogger behind My Life at Playtime, where she documents life with her three children and the adventures they experience living in Los Angeles. please please everyone read this, don’t hurt your skin, listen to the science, don’t use baking soda or anything acidic on your face. it will not be nice. I’ve suffered with cystic acne since after my first pregnancy. I truly feel like I’ve tried everything as far as home remides . I was actually considering trying laser skin. I’ll give these recipes a shot . I have made my list and looking forward to trying alk! I am a essential oil and and coconut user and love thelse items I cannot wait wait to try your recipes.